Here we are again, with a new Blue Blood look of the week. This week we have a grey shirt by B.D.Baggies (a new brand we have since last week) with a beige pull-over by Saint James on top. This combined with a nice pair of Blue Blood denim and grey sneakers by Stamped LA. For her we have a purple tank top and pullover by Designer Remix together with a fur vest by Antik Batik. The denim is by Blue Blood. the shoes are showpieces and not for sale. Here we are again, with a new Blue Blood look of the week. 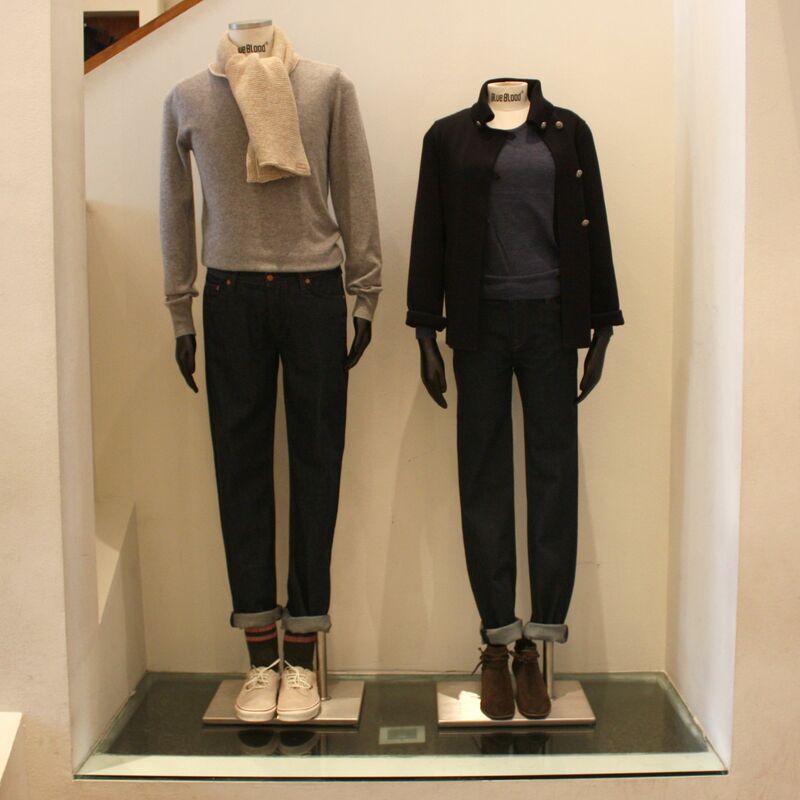 This week we have a black suit jacket with a white round neck T-shirt, combined with a beige chino (all by Blue Blood). 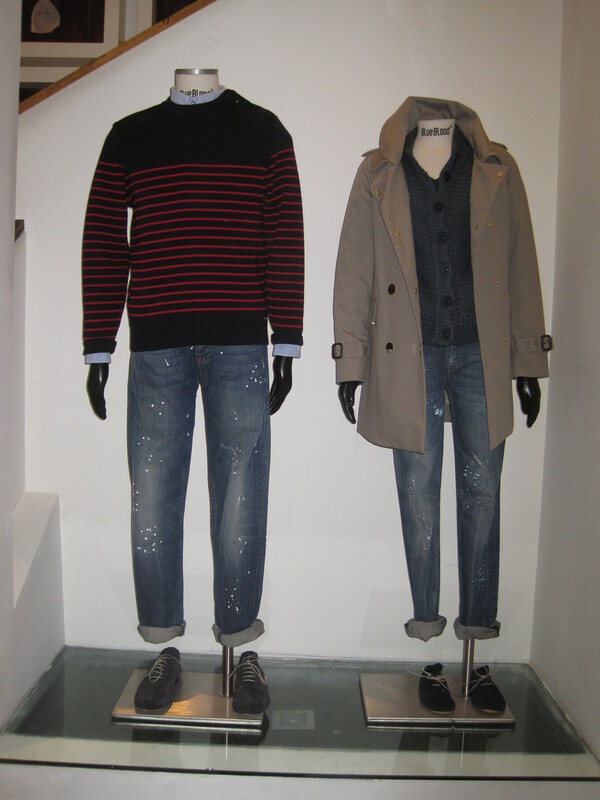 The white sneakers are from half Italian/half American brand Gourmet. 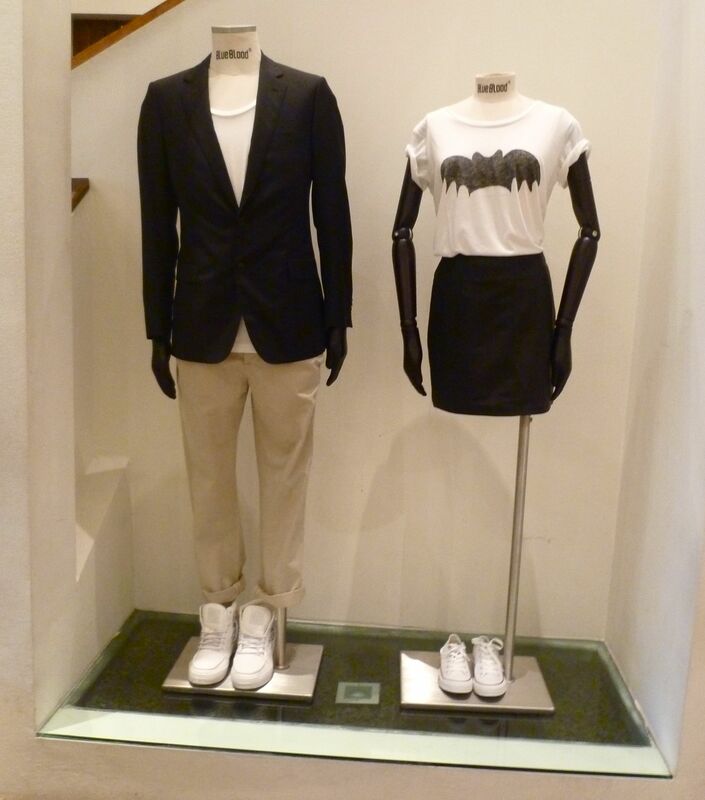 For her we have a black leather skirt by Designer Remix and a Zoe Karssen T-shirt plus white low Chuck’s by Converse.